The first 6 photos were taken by William McMurray, and were clearly taken on the same day. In some there are various lengths of batons and the boys have handheld dumbells. Were they dancers ? or cheer leaders ? 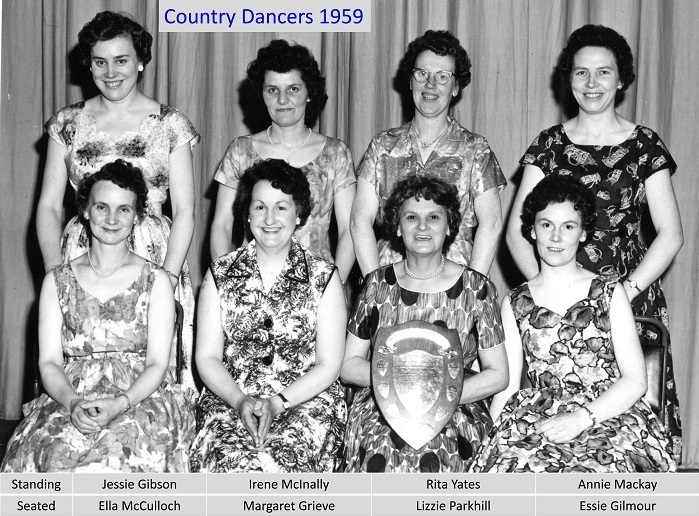 1-5-02a : The lady standing at the back is Evelyn Tait. 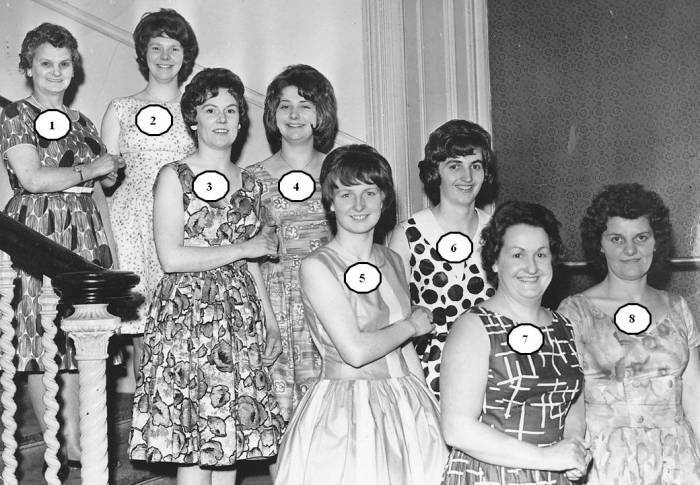 4-64a : The lady seated centrally is Evelyn Tait. 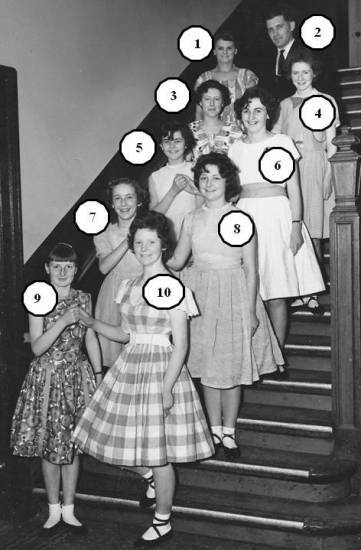 1-8-10a : The girl front row, leftmost, is either Agnes or Harriet Sinclair. 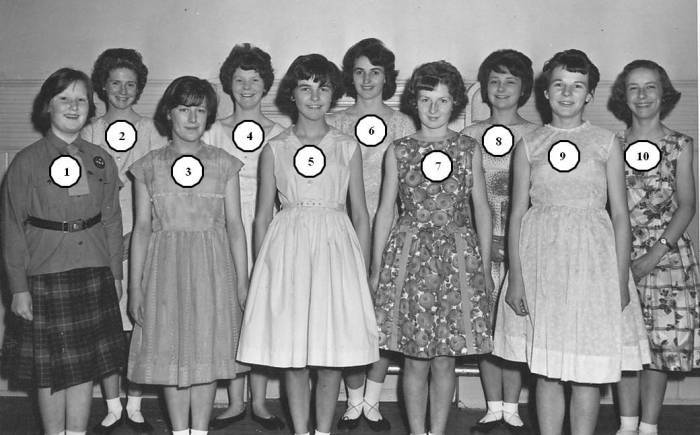 The lady standing back row centre is Evelyn Tait. 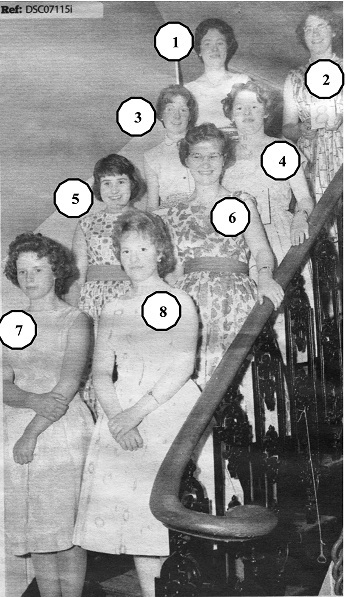 1-5-03a : The lady is Evelyn Tait. 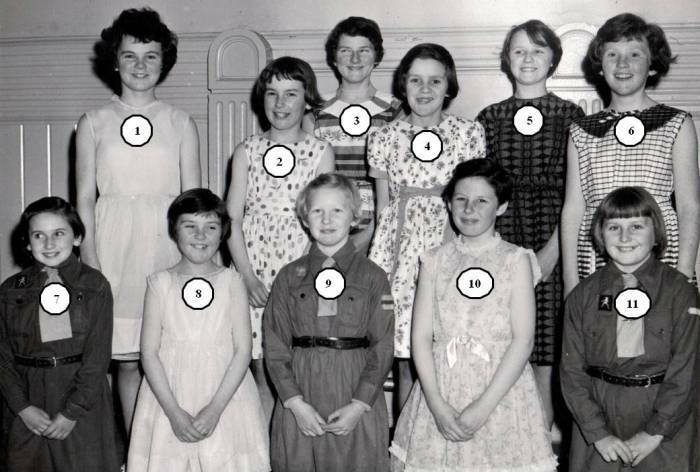 The boy 2nd left on the front row is Robert Mitchell. 7. Margaret Sloan, 8. Bride Bryan.